Schools in the capital city reopened today after it was closed for four days last week and many schools recorded low attendance owing to the still persisting severe air pollution levels. 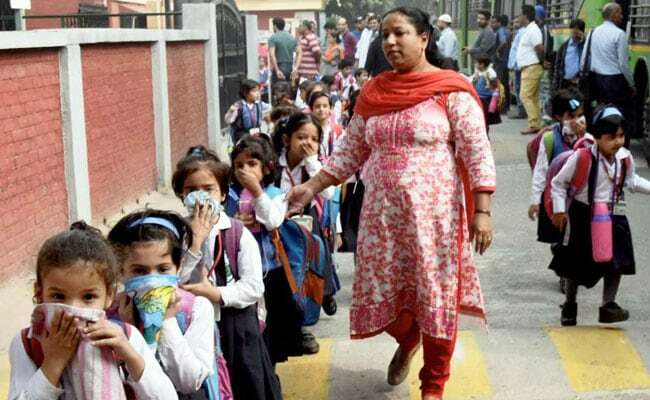 New Delhi: Schools in the capital city reopened today after it was closed for four days last week and many schools recorded low attendance owing to the still persisting severe air pollution levels. Meanwhile angry parents accused the authorities of "playing with children's health" as schools reopened despite a fresh surge in pollution to emergency levels, reported AFP. 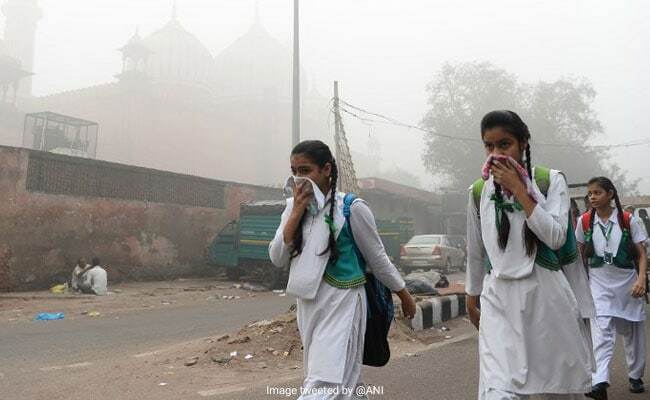 According to IANS, teachers from several schools suggested that schools be shut for a few more days till pollution levels decreased in the National Capital Region (NCR), including Delhi. Schools in Delhi were closed from Wednesday last week after doctors declared a public health emergency when choking smog descended on the NCR. "There has been no let-up in the pollution levels. So if the situation is the same, action should be the same. Why open the schools now?" Ashok Agrawal, president of the All India Parents Association asked. Ranju Sehrawat, a schoolteacher at Amar Shaheed Major Sehrawat School in Mahipalpur, said the attendance was around 50 per cent in her class on Monday. "On one hand the government is saying there is a health emergency and on the other they are playing with children's health. It is so disturbing to see children coughing and struggling to breathe all the way to the school," said Mr. Agrawal. "The government should keep schools closed for a few more days. No point in asking children to attend classes in this weather," Ms Sehrawat told IANS. According to Seema Anand, Principal of Ghitorni Government School, only about half of the students were present in the classes she visited and in one class, 29 of the 40 students were present. Ms Anand pointed to ill-affects of pollution on children and said schools should remain shut for a few more days. A Principal of another government school said she observed around 60 per cent attendance in a number of classes she inspected during her daily round. Meanwhile, another section of teachers said, closing the schools is not a solution for the current problem, instead, collective efforts must be made to overcome the situation. On Monday, according to IANS, pollution in Delhi and neighbouring areas remained at severe level. Delhi recorded an air quality index (AQI) of 463 till 4 p.m., with PM2.5 particles recorded at "severe" 460 microgrammes per cubic metres, about 19 times more than the permissible level globally. The AQI in National Capital Region was 463. The permissible level for PM2.5 is 60 as per Indian standards and 25 globally. The situation in neighbouring Ghaziabad was worse, with PM2.5 concentration of 846 microgrammes per cubic metres.